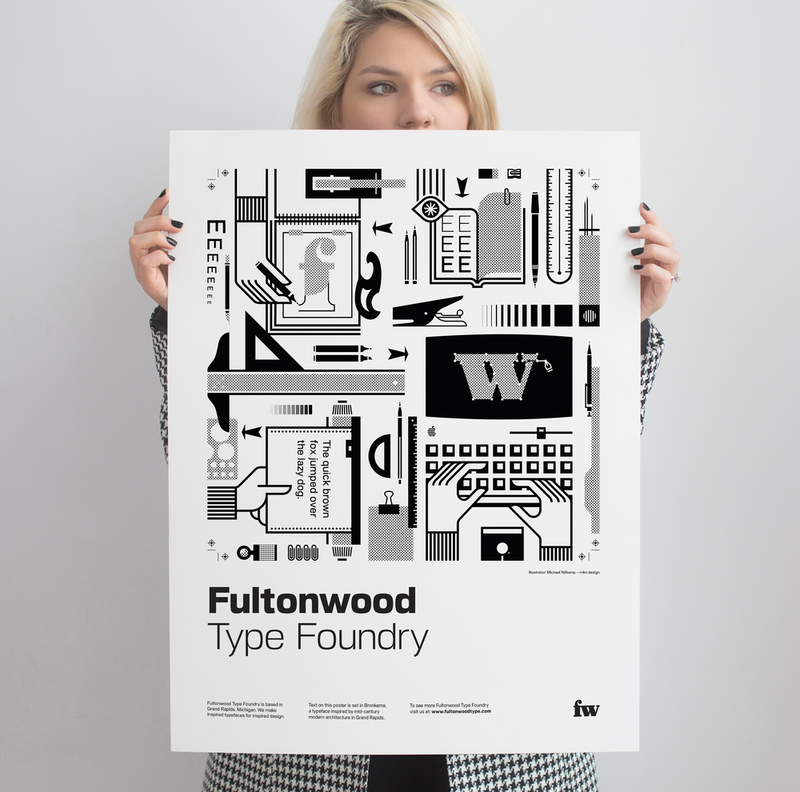 Worked alongside FTF to produce an illustrative story that highlights traditional tools and methods of type design, typesetting, and graphic design, which they use as inspiration for new typefaces. This 18" x 24" poster is printed with archival inks on archival paper and can be purchased. If interested, please e-mail at: michael@mkn-design.com and provide your address for shipping and handling costs. * These prints are signed by the illustrator. Framing, shipping and handling not included in the above price.